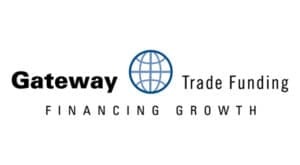 Gateway Trade Funding is a purchase order finance company located near Chicago, Illinois. We've been customizing finance programs to meet the unique needs of our clients since 1995. Our management team has extensive experience in domestic and international trade finance and commercial banking. Our purchase order finance program allows you to buy inventory from your vendors without drawing on your bank line of credit. Each financing program is expertly customized to meet your particular needs. We've helped businesses in nearly 100 industries and provided well over a $100 million in purchase order funding. Uniquely customized financing solutions for your business needs. Up to 100% of the inventory financing to fulfill your orders for goods. Off-balance-sheet financing that replaces equity investments and extends your working capital. Integrity, discretion, responsiveness and creativity are our guiding principles. Our staff is 100% committed to giving you a quick response and we dedicate the time and effort to learn your business and its unique requirements. We require a $300K annual minimum spend.